National Security Adviser John Bolton sent a menacing message to Venezuela’s military on Twitter Tuesday evening as the country’s dictator Nicolas Maduro clings to power in the struggling socialist country. 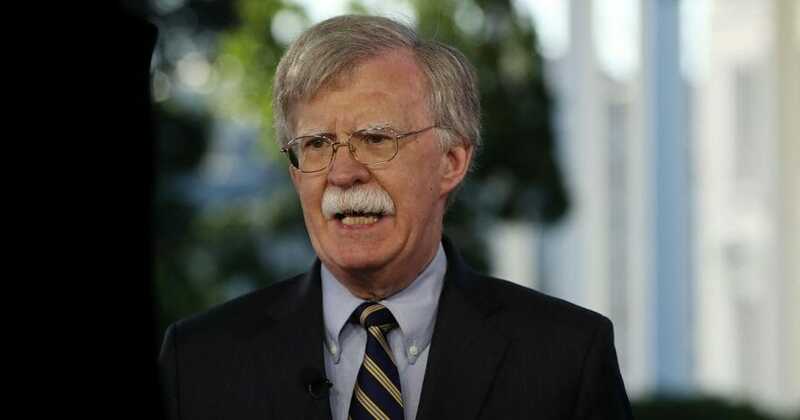 “Any actions by the Venezuelan military to condone or instigate violence against peaceful civilians at the Colombian and Brazilian borders will not be forgotten,” Bolton tweeted. Any actions by the Venezuelan military to condone or instigate violence against peaceful civilians at the Colombian and Brazilian borders will not be forgotten. Leaders still have time to make the right choice. More than 40 people have been killed during protests since Maduro’s rival, National Assembly President Juan Guaido, declared himself the country’s leader instead of Maduro on Jan. 23. But much of the military is still with Maduro, leading Guaido to offer them amnesty should they abandon Maduro’s government, Reuters reported. President Donald Trump slammed Maduro and recognized Guaido in January, as did other countries including Brazil and Canada. Bolton made headlines when he was spotted carrying a notepad with “5,000 troops to Colombia” scribbled on it Jan. 28. Colombia and Venezuela border one another. The Venezuelan military must uphold its duty to protect civilians at the Colombian and Brazilian borders, and allow them to peacefully bring in humanitarian aid without violence or fear of persecution. Trump has emphasized that “all options” are open when dealing with the situation in Venezuela. “We seek a peaceful transition of power, but all options are open,” he said during a speech at Florida International University Monday.